The Fly London Yeve is a simple knee high boot that has been finished in this all black colour scheme that makes it versatile and durable perfect for work or play. 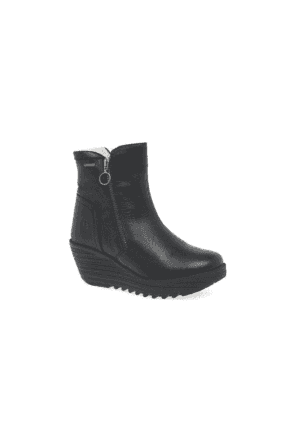 The rubber wedge sole unit offer comfort and grip while the leather and neoprene panel ensure the best fit. They are also lightweight and flexible perfect for daily use at work.